Bringing strategy to the players. At Bytro, we are passionate about developing and publishing unique browser-based and mobile strategy games. Based in Hamburg’s city center, we are an innovative and driven team of 40 people drawn from around the world. We strive to develop high-quality strategy games every day and make them accessible for all players around the world. In our eyes game development is a promise for fun and entertainment – that’s what we live and aim for! Located in the Hamburg city center, we develop and publish our games which are played by more than 8 million people in 150 countries and 13 languages. Bytro was founded by Felix Faber, Tobias Kringe, and Christopher Lörken who met during their studies of Cognitive Science. Their vision was to create a game that would meet their own high standards. Within a short period of time, the real-time strategy game “Supremacy 1914” became a major success and was named “Browser Game of the Year” in its first year by the enthusiastic community. The three founders are named “Founders of the Month” by the Ministry of Economy of the federal state Baden-Württemberg. Bytro releases their first mobile game called “PanzerWars” which is published by Xyrality GmbH. The business simulation “Industry Tycoon” is also added to the portfolio. Our company is awarded the “Technology Fast 50 Rising Stars” award by Deloitte as one of the fastest growing technology start-ups. Bytro announces that it will join forces with the Swedish Stillfront Group, which unites multiple development studios spanning multiple platforms and genres. Both businesses remain operating under their own name and in their current headquarters. “Thirty Kingdoms”, a medieval strategy browsergame with fantasy elements goes live. The World War II strategy games “Call of War” becomes the most successful launch of Bytro up to now. “New World Empires” is introduced, a game about colonialisation and conquest. Bytro Labs crosses the line of 5 million registered players across all games. In close cooperation with Dorado Games “Conflict of Nations: Modern War” is launched into open beta. “Call of War” is released on the digital distribution platform Steam and receives a mobile browser version. The new Progressive Web App-technology is used to bring the game to mobile devices. Bytro teams up with the Cologne based game studio Gamefabrik to distribute the browsergame “Mars Tomorrow” and it’s corresponding mobile apps. “Call of War” is released on Google Play Store and Apple App Store – making the game fully cross-platform. Bytro completely revamps “Supremacy 1914” with modern graphics and an updated game engine. 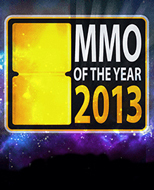 “MMO of the Year” is the most important award for online games. In February of 2013, Topia Island won the Jury Award as the best Indie Game as well as the Audience Award for Best Innovation. The Deloitte “Technology Fast 50” award honors companies in technological fields that have generated huge growth by taking risks and showing entrepreneurship. Bytro Labs was awarded third place in “Rising Stars” category, in which the focus lies on young companies. 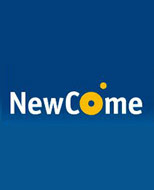 In June 2010, Bytro Labs was awarded the prize “Founders of the Month” by NewCome.de, the start-up platform of the department of commerce of Baden-Württemberg. Directly after it’s release, Supremacy 1914 was awarded the Browser game of the Year award. 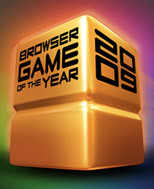 The most important award for browser games at that time.